I recently read an article that discussed which pursuit helped a person acquire longer term happiness, the purchase of something longed for or a vacation. The writer theorized that if you crave some object, then once you buy it, the longing ends and you become accustomed to it. You then cease deriving happiness when using that item. Someone dreams of buying a BMW and saves up money for the German car. After craving for years, he finally buys the vehicle. From that day on, his urge now satisfied, he ceases to derive enjoyment from having that car and begins desiring something else. The accumulation of things doesn’t bring happiness. A vacation, however, leaves a person with great memories. Even after returning to the daily grind, he derives pleasure from reminiscing about places visited and enjoyed. Even months after returning from the vacation, when suffering the stresses of life, reviewing pictures of deserted beaches and beautiful sunsets transports one to those magical days when one felt relaxed and free. The Torah provides us with a similar gift. The last of the Pesach dishes have long been put away, children are back in school, and the routine of life takes over once again. In this week’s parsha of Emor, we are given snapshots of the most glorious days of the year. As we learn the parsha, we hear echoes of the call of the shofar, sense the awe of Yom Kippur, and smell the soft fragrance of the esrog. 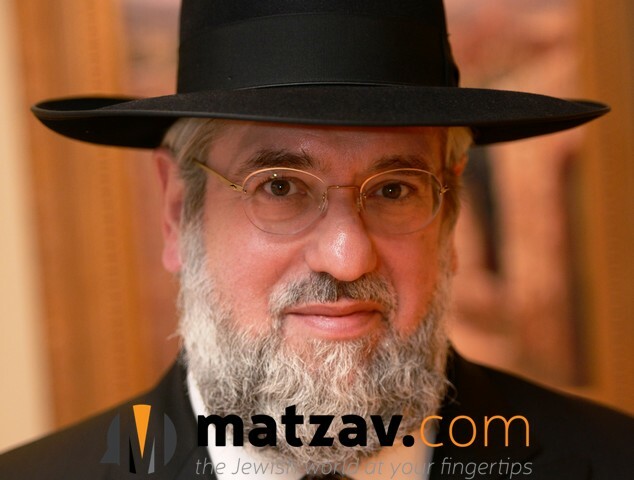 We are reminded of the escape Pesach provides us, the chance to rise above the ordinary, and how the process of bringing the Omer allows us to refine ourselves in preparation for kabbolas haTorah. We experience the joys, relive the holiness with which the special days infuse us, and are reminded once again of our exalted status and potential for greatness. Yomim tovim grant us joy, infuse us with energy, and enable us to go about the mundane period until the next yom tov. My friend, Mr. Julius Klugman z”l, would go to Eretz Yisroel every year for Sukkos. He would always bring with him a question for the gedolim of Eretz Yisroel. One year, the American visitor wondered how the Torah can command a person to be b’simcha on Sukkos. Is there a button we can push to experience joy? Rav Shach was expressing an essential truth. We have the best system possible – a calendar, lifestyle and value system designed to produce happy, fulfilled people. Yomim tovim are highlights of a year filled with special moments, experiences that bring out the wonder of creation and the uniqueness of our role in the world. Examine the world. Appreciate the infinite genius in the workings of even one small organ of the human body. Look at the animal kingdom and all the different animals and how each was formed and lives. Look at the world of insects, millions of tiny species, and their distinct lives. Look at the sea and the fishes of all sizes and ponder how they got there. Examine the growth pattern of grass, trees and flowers and you will quickly conclude that there is no way that all this happened by itself. Someone created them and placed them where they are. Someone fashioned them in a way that each living thing can complete its life span productively on its level. Above them are man and Am Yisroel. We were given a Torah by the Creator. The Torah is the guide to the best form of life, one that is fulfilling, meaningful and happy. Why, then, do we see people in our own camp who seemingly lack that joy? Why do we see listless, lethargic people in shul and other places? Why is it that there is a phenomenon of young men and women who seem completely overwhelmed by what’s expected of them and veer off the path? It’s a painful question that begs a communal cheshbon hanefesh. Last week, I purchased the newly-released Shnos Dor Vador Volume Two about Rav Yosef Shalom Elyashiv. The book quotes him relating the Medrash (Bamidbar 18:22) which tells a story about a traveler headed from Bavel to Eretz Yisroel who witnessed two birds fighting. After one bird killed the other, it headed to the woods and returned with a blade of grass, which it placed upon the beak of the dead bird. The dead bird immediately came to life. The spectator was amazed. Here, before him, was the coveted key of techias hameisim, the means to return the dead back to life. He bent down and picked up the blade of grass that had fallen off the newly living bird and set out to resurrect the dead. On the way, he saw a dead lion at the side of the road and gleefully touched the grass to its face. The lion rose to life and then seized the blade of grass and swallowed it. A moment earlier, the weed had potential to change the world. Now it was gone. Rav Elyashiv suggested that the man should have hurried to the kevorim of the gedolei Yisroel, the giants who had breathed life into our people in previous generations, and returned chiyus to the world. He should have used the blade of grass to change the course of history. Instead, this fool used the most precious and potent tool to awaken a dead predator. Rav Elyashiv would apply the lesson of this Medrash. Every one of us carries the potion of life and the ability to transcend time and space. By using each moment to create eternity, we elevate every minute. Instead, unfortunately, some people ignore the power they hold, wasting time and creating destruction rather than new life. The lesson requires every one of us to engage in soul-searching. We have the best system in the world, a framework for living with meaning and depth, but apparently we aren’t always using it correctly. Torah is the elixir of life, a good life, a happy life, and we should be producing happy, radiant, fulfilled generations. Of course, in most cases we are, but there seem to be too many exceptions. The Torah calls for a specific and precise way of living, to be sure, and it’s not ours to pick and choose. Yet, should we not be doing more to transmit its message with mercy and genuine understanding of the people we’re trying to reach? The Torah is referred to by Chazal as Rachmana, The Merciful, and its agents must exude that rachmanus; that total empathy and compassion, to others. Last week, Klal Yisroel and the world of chinuch lost a giant, Rav Moshe Rabinowitz zt”l, who served as a rov, menahel and mashgiach for many years. What was so special about him can be gleaned from something that an Oorah Kiruv Rechokim head shared with me. Rav Yisroel Belsky was the rov of Camp Agudah. Friday was an especially busy day. In addition to the shailos that followed him wherever he went, people who went up to the Catskills for Shabbos and wanted to speak to him would seek him out on Fridays for all types of personal discussions. Of course, there were the regular shiurim he delivered and everything else he did. Thus, by the time Shabbos arrived, he was exhausted. After Maariv, he would join his family for the first part of the meal. Then he would join his beloved Masmidim in the dining room, singing meaningful songs and sharing divrei Torah until late into the night. Every week, on his way to the Masmidim in the campers’ dining room, he would make a detour and first go to the table on the side where the waiters sat. He understood that their job required them to work hard during the meal and their seudos Shabbos were often sacrificed. Without much time to eat, let alone enjoy a spirited seudah, they grabbed a few bites here and there in between serving the campers. Rav Belsky got it. That’s why he made it a point to join them for a few minutes. Not too long, for they had jobs, but not too short, because it was Shabbos for them as well. A quick question, an interesting discussion, a lively niggun or two, and then the giant moved on. Rav Belsky dealt with brilliant and complex shailos in hilchos Shabbos. He knew the masechta and all its commentaries. But he also felt the heart of the waiters and their Shabbos. We want children and adults to appreciate Shabbos and view it as a state of mind and an opportunity for climbing and resting, growing and happiness, and shirah and Torah, as well as a day with many halachos that empower you to be a better and more complete person. The BMW won’t do that for you, even if you’re wearing a cool shirt and pants when you drive it. Shabbos will. Yom Tov will. Every day lived properly will. In Pirkei Avos, Shammai tells us, “Asei Torascha keva, emor me’at va’asei harbei, vehevei mekabel ess kol ho’odom b’seiver ponim yafos” (Avos 1:15). Rav Chaim Friedlander shared a question from his rebbi, Rav Eliyohu Eliezer Dessler. Shammai and his approach are always associated with middas hadin. The first two ideas quoted in the Mishnah – to set a fixed time for Torah learning and to speak little and do much – seem to reflect that attitude. However, the last teaching quoted seems to be out of place with the positions of Shammai. How does greeting everyone we meet fit with an outlook of middas hadin? Rav Dessler explained that Shammai is teaching that greeting people with warmth, enthusiasm and respect is not only a matter of common courtesy. It is, in fact, a din, an obligation, because just as a suit or watch has an actual value, and paying a shopkeeper less than their value can be considered stealing, a person also has value and deserves to be greeted as someone special. Because everyone is special and to miss that is to steal. We cannot realistically expect our precious and significant mesorah to have an effect on our children and students if we don’t realize who they are and what their needs are. If the message isn’t penetrating, it is not necessarily the fault of the recipient, nor can it be blamed every time on ADHD, defiance, poor work ethic or focus issues. We have to face the truth that sometimes it may be a problem in approach. We have to own up to the truth and quit sweeping the problems under the rug. Our Torah is a Toras Chaim. It is life-giving, personality-enhancing and happiness-inducing. We teach with happiness. We reach out to our youth and touch their sweet neshamos with love and joy. We teach them positively, allowing them to express themselves and helping them appreciate the brachos and kedushah that every day of yom tov, Shabbos and chol bring. We bring the next generation under the kanfei haShechinah, reaching them on their individual level, as the posuk of “Chanoch lenaar al pi darko” (Mishlei 22:6) teaches. Children are not cut out from cookie-cutters. Each one is different and special and can best be reached by appreciating that fact. Every child wants to be loved and find favor in the eyes of others. Every child wants to fit in and gain acceptance among his peers. Every child wants his rebbi to like him and have a rebbi he can like. Every child has a way to be reached. Shammai’s teaching is an echo of that posuk. Rav Yitzchok Yeruchom Diskin, son of the fiery angel Rav Yehoshua Leib, assumed his father’s role as head of Yerushalayim’s orphanage. At the time, the Holy City had its share, Rachamana litzlon, of orphans whose parents had perished in famine or war. Rav Yitzchok Yeruchom would frequently visit the facility, learning and chatting with the children. One day, as he walked in, he suddenly started to cry. He explained that since a tailor sits among bolts of cloth, it is likely that he will step on expensive fabrics when he walks around the shop. A carpenter will casually walk over expensive wood. A bookbinder who works painstakingly on seforim might step on holy pages if he is not careful. Our society is blessed with large families and burgeoning mosdos. Children are everywhere. We have to ensure that we don’t become too casual in our encounters. If you take the time to shmooze with any teen at risk, you’d be struck by the unmistakable chein and sincerity in their eyes, the desperate longing to be good, and the inner call that they are forced to silence through all sorts of horrible addictions. They aren’t bad, that’s for sure. So what went wrong? How has the nation gifted with yomim tovim and simcha, with Torah and mitzvos, with tefillin and lulav, allowed its children to wander? How has a nation who says “Atah vechartanu” forgotten its uniqueness? I don’t have the answers, but the way out starts with acknowledging the question. Hear the message of the parsha. Hear who we are and what we can become, and use the reminder to do our jobs better, with more heart and more compassion. Rabbeim and moros are the heroes of our nation. We need to provide them with the tools they need to be adept enough to perform their holy tasks with maximum strength and love as they would like to. We need to support them morally and financially so that they have the stamina they need to help fix errors brought on by others and keep everyone on track. Let us all try to be positive and upbeat and remember who we are, where we come from and where we are headed, so that we realize the posuk of “vechol bonayich limudei Hashem” with nachas and simcha.